It would be a mistake for the UK to end its involvement with the European Investment Bank, according to South East England MEP, John Howarth. The European Investment Bank (EIB) provides investment in the infrastructure, business and social requirements of communities all over the European Union but also invests in projects outside the immediate boundaries of the European Union. Because the UK holds 16% of the EIB’s shares it would be entirely logical for the UK to continue its involvement and continue to benefit from the bank if and when the UK leaves the European Union. Importantly the EIB lens in line with EU social and economic priorities, not just commercial lending criteria, at rates well below those of the commercial markets. In other words also for need, not just for profit. 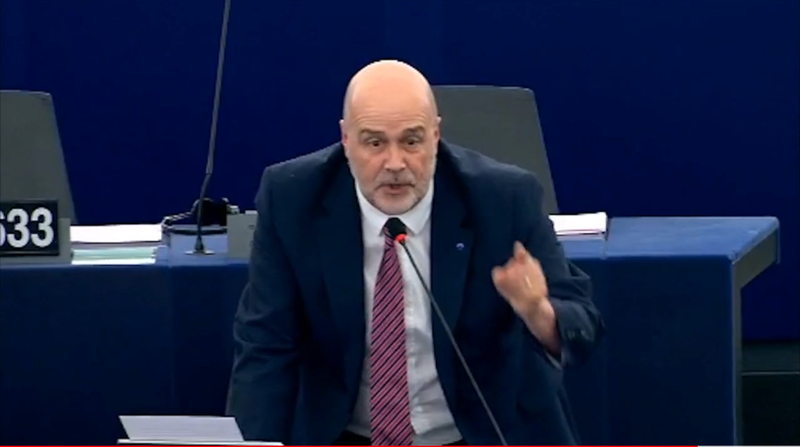 John was speaking in a debate on the EIB’s annual report in the European Parliament and explained that the future infrastructure needs of a competitive Europe urgently require investment in low carbon infrastructure and inclusive digital networks and that the EIB would empower “the changing face of cohesion policy”(1). He also hit back at false UKIP claims, challenging them to campaign for the real interests of the UK and continued involvement with the EIB. John adds; “The UK has received more than 30 billion in investment from the EIB for a 3.5 billion capitalisation stake in the Bank – the same as Germany, France and Italy. The UK, along with the other member states also provides guarantees on the EIB’s lending – but this was never a cash contribution. The phase withdrawal agreement clearly states that the UK’s guarantee ‘liability’ will be written down over the period of the outstanding loans it backs while the cash capitalisation contribution will be returned in a number of instalments (2). “There is no question of the UK ‘not getting its money back’ as UKIP falsely claim. I think, however, it would be a much smarter approach to remain involved with the bank. There are all sorts of projects in the UK that badly need investment – not least the critical shortage of social housing. Despite the uncertainty over Brexit the UK continued to benefit from EIB continuing investment to the tune of 2.1 billion in 2017 alone. (1) ‘Cohesion policy’ is the EU jargon for investment that improves the competitive position of poorer regions, including in the UK, through modernising infrastructure and social investment. (2) UK officials regard the ‘liability’ of outstanding EIB loans as largely theoretical and the chances of the guarantees being called upon so unlikely that they have not included the figure in any part of the proposed financial settlement with the EU.